iRODS is taking an active role in Lustre community. 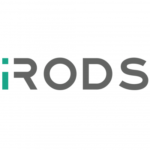 The iRODS Consortium recently signed on to the Open Scalable File Systems, Inc (OpenSFS), a nonprofit organization dedicated to the success of the Lustre file system, an open source parallel distributed file system used for computing on large-scale high performance computing clusters. The worldwide iRODS community will gather June 13 – 15 for their first User Group Meeting to be held at Utrecht University in The Netherlands. Along with use cases and presentations by iRODS users from at least seven countries, the meeting will offer a glimpse at new technologies that will soon be available alongside iRODS 4.2.